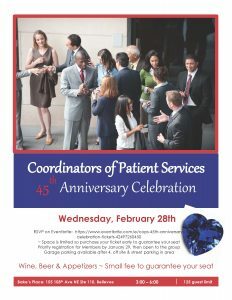 COPS was founded in 1973 by a couple Harborview social workers to form a networking group in order to meet healthcare industry professionals to whom they made referrals for post-acute assistance. We are proud to continue their efforts 45 years later. Thank you for your contributions to this amazing group.